The January 1, 2017 introduction of mandatory mass flow meter (MFM) use for MFO bunkering in Singapore was without question a watershed moment for the industry. While MFMs are used for bunkering in several ports around the world, including Hong Kong, Fujairah, and Istanbul, the city-state and world's biggest bunker market are the first to require them to be used, and for the most part the move has been a huge success. 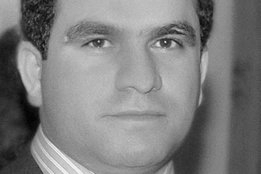 While offering several improvements to traditional bunkering methods, Petro Inspect were among the many who warned MFM technology should not be considered a "full-proof" solution to marine fuel-related malpractice. The first clear sign that MFM-related malpractice could take place came in March when the Maritime and Port Authority of Singapore (MPA) said it had suspended the harbour craft licences of five bunker tankers operated by Panoil Petroleum Pte Ltd (Panoil) due to irregularities with piping fixtures associated with the MFM setup. So how would it be possible for unscrupulous players cheat the mass flow meters? While we don't know exactly what happened with the Panoil vessels, and to be clear we can not speak as to what occurred there, Petro Inspect surveyors have seen barge setups where it would be possible to syphon bunkers back into the bunker barge after they have passed through the mass flow meter. 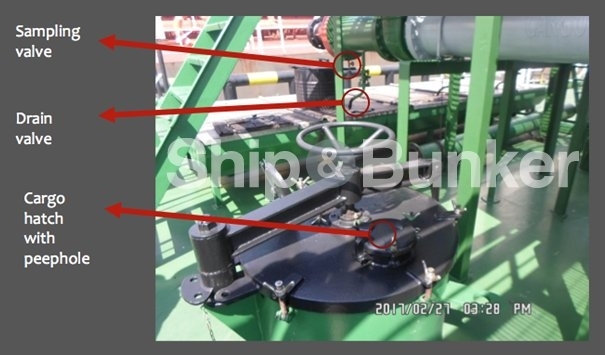 It is important to understand that in order to stop the deliberate adding of syphoning points along the bunkering line, seals are placed at appropriate points in the system. Any unauthorized connections, fabrications, or insertions within the piping arrangement in question would invalidate the use of the MFM. There are also a set of guidelines requiring that seal numbers match the seal verification report on the barge. If the seals are broken / missing / tampered with then this may invalidate the operation of the MFM and MPA has to be informed immediately. While the vessel's crew are typically untrained to detect such modifications and anomalies (and some even don't bother to board the barge to check the piping!) they would be uncovered by a competent surveyor. This said, two points that seem not to be sealed are the sampling point line and the drain pipe line. 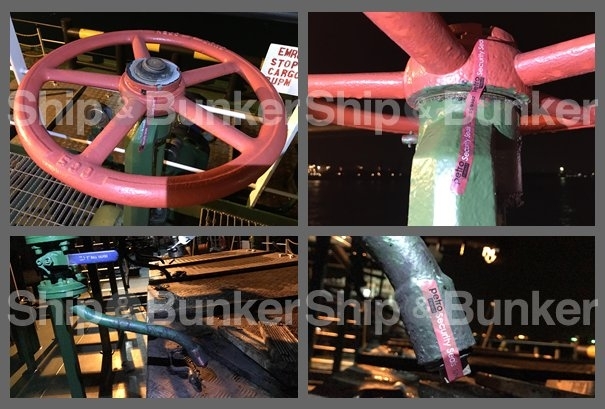 Petro Inspect has seen instances of these points being placed in such a way it provides the possibility for the barge to syphon bunkers during operations after they flow through the MFM. Image is Copyright Petro Inspect Ltd and reproduced on Ship & Bunker with permission - Image Credit Mal Goh (Business Development Manager) and Stanley Kwok, Technical Director, Petro Inspect Asia Pte. Ltd. This image below taken by our surveyor shows the pipe arrangement on board a Singapore barge. 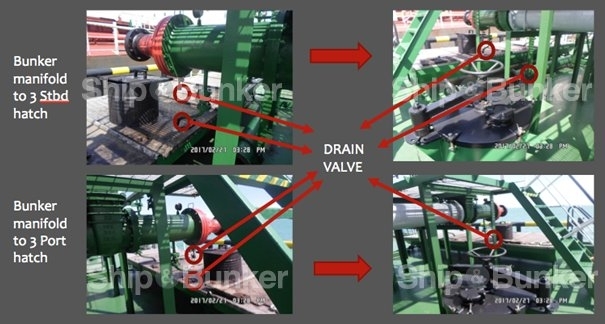 The fact that the sampling/drain valve is located after the MFM shows the possibility for the supplier to syphon bunkers during delivery. 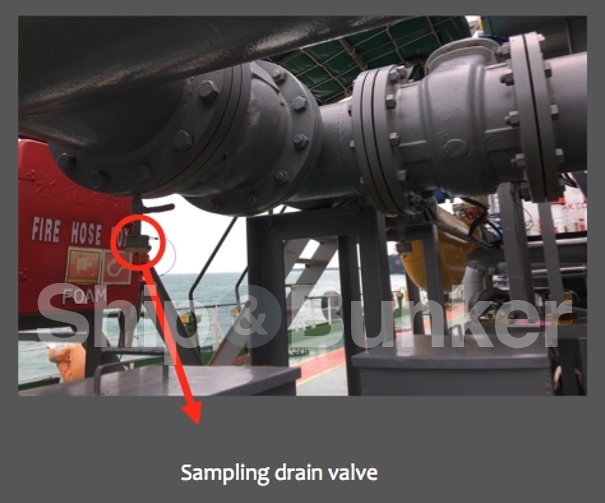 To prevent this, Petro Inspect has a solution to seal this valve with a tamper-proof sticker before bunkering and counter-checking after delivery. To date our surveyors have been manually monitoring this valve during all deliveries to prevent potential siphoning through this valve. The next set of images show the close proximity of a drain valve and cargo hold hatch. This can facilitate the syphoning of bunkers during delivery. Even at a small rate of 1-2mt/hour, this can result in a collection of 8-16mt for an 8 hour bunkering operation - or a fraud of around $2,500 to $5,000 at current bunker prices. As we can see, it is important that the surveyor traces out the complete bunkering line-up (piping arrangement) and all valves leading to any outlets should be sealed shut. Petro Inspect have pioneered the method of closing all remaining loopholes in the MFM line system. In order to prevent MFM-related malpractice, it is vital to always use a quality and trustworthy bunker surveyor during all bunkering operations, particularly one that is trained to understand piping setups and can identify way that bunkers can be syphoned after the mass flow meter. Verification of documents, seals, read-outs, data-collection and procedures. A surveyor is the only qualified personnel to verify, interpret and document all of the above. Proper reporting of events and situations happening real-time, to all parties concerned. A surveyor is the only personnel in contact with the agent, supplier, operator, BQS handler, MPA, Marine police, launch service providers and so on, altogether. Proper sampling and custody. The surveyor is the only personnel trusted by all parties to collect, seal, label and distribute all samples taken for a bunker operation. Other personnel may perform the above procedures and operations, however, their handling may be called into dispute by either parties. Only the surveyor is licensed and empowered to perform all of the above with impartiality and reliability, which can be upheld in a court of law. Key Chinese port saw sales of 3.59 million tonnes last year.